Liqui-Box, a portfolio company of Olympus Partners, has agreed to acquire DS Smith plc's Plastics Division to create a comprehensive and innovative leader in flexible and rigid packaging. Liqui-Box and DS Smith Plastics, which includes the Rapak and Worldwide Dispenser businesses, will have a global footprint, design capabilities and service platform that will offer customers the most compelling packaging solutions and drive advancements in technology and sustainability. "The combination with DS Smith Plastics advances our strategic initiative to create the leading innovator of sustainable flexible and rigid packaging solutions," said Ken Swanson, Liqui-Box's CEO. "This business has a significant synergistic fit with Liqui-Box and a product portfolio and manufacturing footprint that are highly complementary. This combination will be transformational for both companies and an exciting growth story for our employees and customers." "Olympus Partners has been the majority investor in Liqui-Box since 2015. This additional investment to add the capabilities of DS Smith Plastics further supports our growth plan for the company," said Manu Bettegowda, Olympus Partners. "We have always had a great deal of respect for the DS Smith team and are excited by the prospect of working together to create a strong management team and skilled workforce with a shared vision and purpose," Swanson concluded. Barclays served as financial advisor to Liqui-Box, and Kirkland & Ellis LLP served as legal counsel. Where appropriate, works councils will be consulted and the transaction is subject to customary closing conditions, including regulatory approvals. Liqui-Box is the leading innovator of sustainable packaging solutions for quick, fresh and cost-efficient delivery of liquid and semi-liquid products. The company manufactures Bag-in-Box flexible packaging, fitments and pouches to serve a wide variety of global industries, including dairy, beverage, food and non-food customers. Liqui-Box also designs, manufactures and services the fastest filling equipment in the industry along with best-in-class bag-making equipment. The Plastics Division consists of sustainable flexible packaging and dispensing solutions, plastics extrusion, injection molded and foam products. Headquartered in Chicago, the Plastics Division employs more than 2,000 people across 26 facilities in North America, Europe and Asia-Pacific. Founded in 1988, Olympus Partners is a private equity firm focused on providing equity capital for middle market management buyouts and for companies needing capital for expansion. Olympus is an active, long-term investor across a broad range of industries including business services, food services, consumer products, healthcare services, financial services, industrial services, and manufacturing. Olympus manages in excess of $8.5 billion mainly on behalf of corporate pension funds, endowment funds and state-sponsored retirement programs. 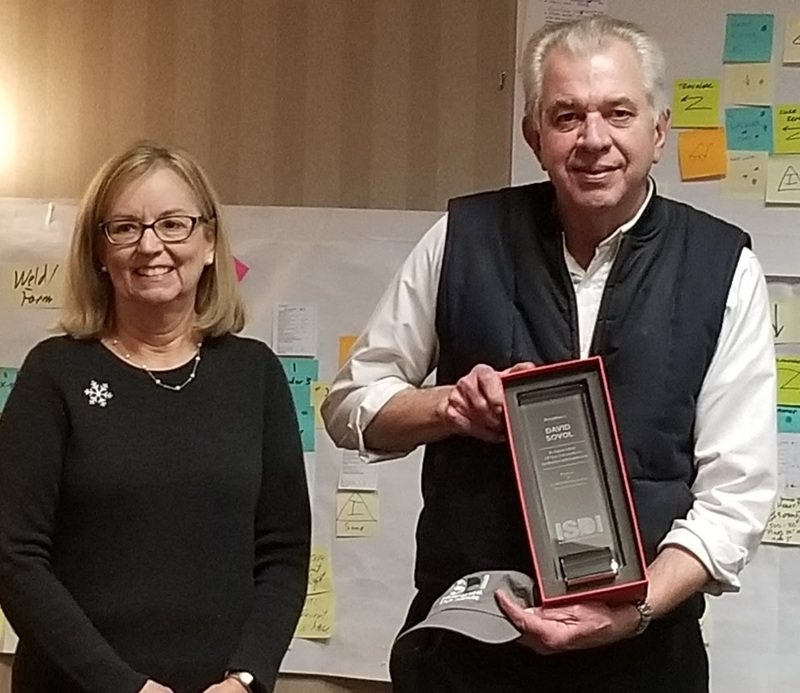 The Industrial Steel Drum Institute (ISDI) recently honored long-time member David Sovol with an award recognizing his extraordinary dedication and leadership to the steel industry. Sovol, chairman of the ANSI MH2 Accredited Standards Committee, has worked in the steel industry for nearly 48 years. Upon completing a Bachelor of Science from John Carroll University in engineering with a minor in physics, Sovol took the position of technical director at Republic Steel in 1971. He traveled the world during his time there to study new steel manufacturing technologies and learn new training techniques. Sovol transitioned to be an active member of the Steel Shipping Container Institute for 15 years, where he also served as chairman of the organization’s Technical Committee for a decade. He joined North Coast Container (NCC) in 1991 as Technical Director. He held the title of chairman of the ANSI Standards Writing Committee in 2004 and wrote the existing ANSI regulations on steel drums and pails. The webinar presentation will be led by Chris Lind, former director of technology and regulatory affairs at Mauser USA LLC. During the webinar, Lind will teach participants about the performance standards of steel drums, their capabilities when being stored or shipped, and how to identify their contents. Though targeted to first responders, participation in the webinar is open to everyone. For more information, or to register for the December event, click here. (Washington, DC) – The Industrial Steel Drum Institute (ISDI) and TRANSCAER® announced, as part of TRANSCAER’s Seconds Count video series, a new 90-second animation aimed at educating first responders in communities near transportation routes on the basics of steel drums and fusible plugs. The Basics of Steel Drums and Fusible Plugs from American Chemistry Council on Vimeo. Fusible plugs are drum closures, similar to standard steel plugs, but made of impact‐resistant nylon, polyethylene or propylene resin. When equipped with fusible plugs and paired with the proper suppression designed in accordance with NFPA Code 30, Chapter 16, steel drums can be the safest containers available in today’s market for flammable and combustible materials. “This new training is what TRANSCAER is all about – using the knowledge and expertise of our sponsors to better train and prepare our emergency responders,” said Keith Silverman, chairman of the National TRANSCAER Task Group and vice president global operations, quality and EHS at Ashland. The Basics of Steel Drums and Fusible Plugs is the 29th Seconds Count video. The series, distributed by TRANSCAER and hosted on its website, includes interviews with transportation and manufacturing industry leaders, as well as short animations educating first responders on how to deal with products or situations they may come across when responding to a situation. 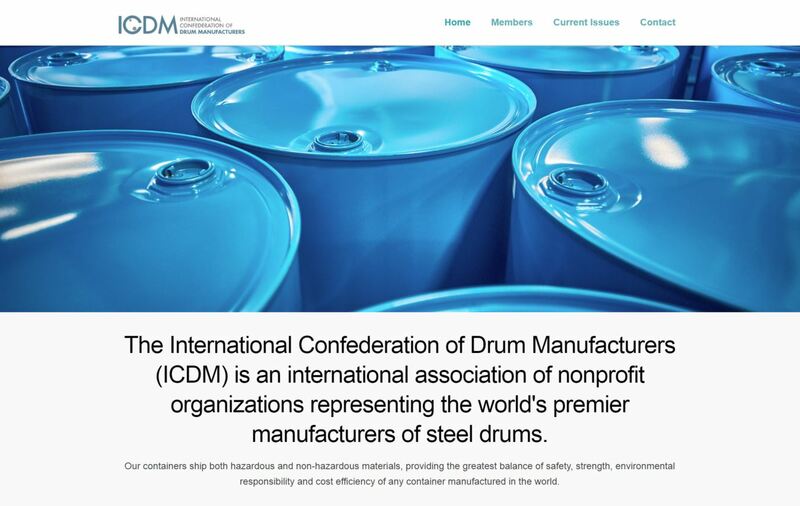 Today, the International Confederation of Drum Manufacturers (ICDM) launched its newly designed website at www.icdm.org. ICDM is an international association of nonprofit organizations representing the world’s premier manufacturers of steel drums. In addition to maintaining the website, ICDM members gather annually to share and discuss drum production and safety statistics, as well as information on technical papers and new regulations. Visit www.icdm.org to see the new ICDM website.